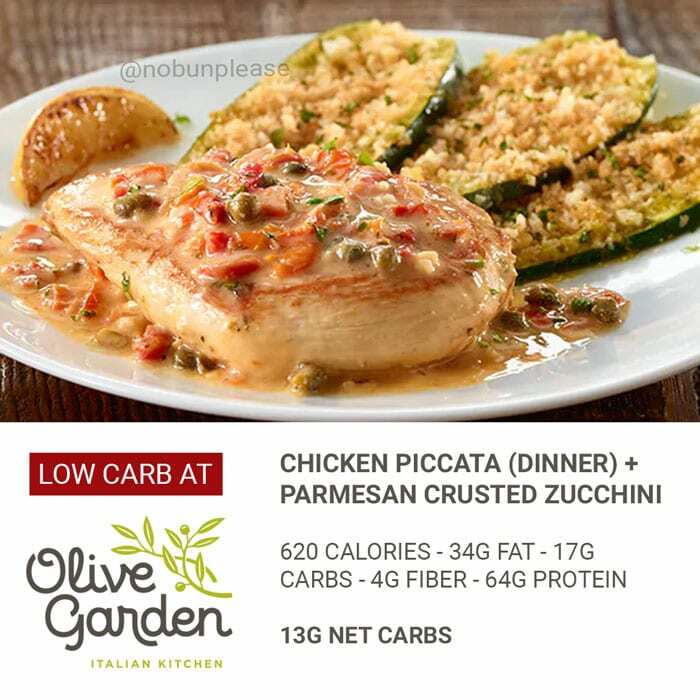 Is it possible to follow Keto at Olive Garden? Almost sounds like an oxymoron, doesn’t it? If you would’ve asked me this question a few months ago, I would’ve said you were wasting your time. But as it turns out, there are quite a few low carb options that you can totally enjoy from this popular Italian chain! Avoid the carb-heavy stuff, including the pasta, pasta bowls and beloved breadsticks. One breadstick will set you back 25g carbs alone. 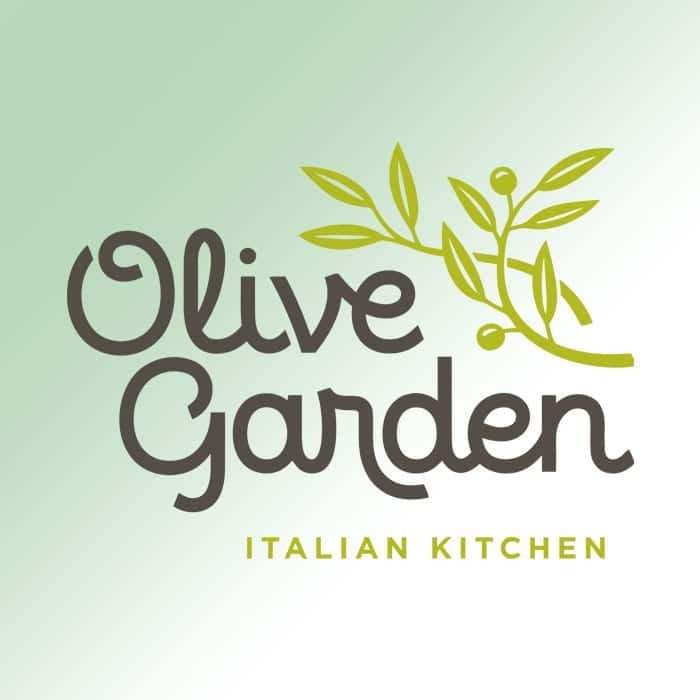 Some have said that their Olive Garden let them substitute broccoli for pasta. Your mileage may vary. Don’t be afraid to order things separately — à la carte. Restaurants are usually very accommodating! Nutrition information for the following is for the entire appetizer. The soups really aren’t that Keto friendly, but if you were really sold on indulging, they all come in under 20g net carbs. I listed the salads with slight variations — make a decision that fits your goals. Focus on dishes that are heavy on protein and contain fiber to bring down the net carb counts. While some items are low in carbs, they can still be a bit high for a Keto diet (at or under 20g net carbs per day). Order what you like and split it with a friend, or even save it for lunch tomorrow! 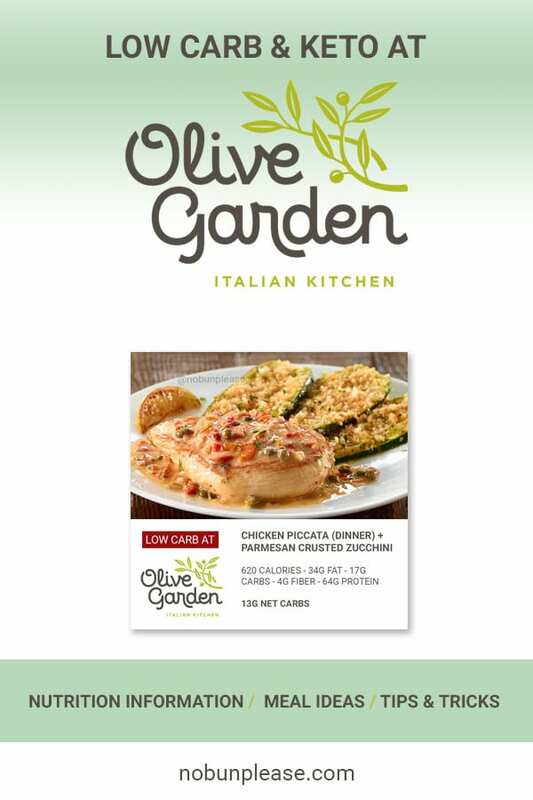 All information was pulled from the Olive Garden nutritional guide. Do you miss eating out at a certain restaurant since you started a ketogenic diet? Comment below! Thanks for all your research. I use it all the time! I went there a couple of months ago and ordered chicken fettuccini with asparagus instead of fettuccini noodles. They charged me a couple of bucks more but it well worth it! I took a pic. I wish I could post it.